van to caticlan | Badudets Everything Nice! 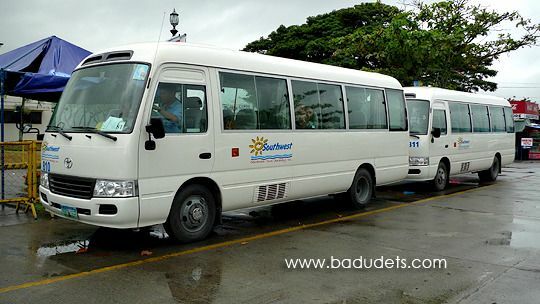 If you want a comfortable ride from Kalibo airport to Caticlan when going to Boracay, try Southwest Tours coasters. They are priced higher than the normal vans and L300s, Php 300 for the coaster ride to Caticlan plus the boat ride to Boracay. You have to shoulder the terminal fee, Php 50, and Php 75, environmental fee. Invites, PR, Reviews, email me! Oishi Snacktacular 2019 is coming to SM Clark, Pampanga! Will email marketing software improve your campaign?